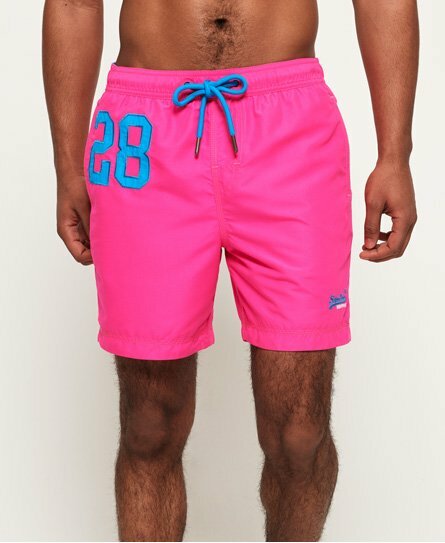 Superdry men’s Waterpolo swim shorts. A pair of swim shorts featuring an applique print on one leg and a two colour embroidered Superdry logo above the leg opening. The swim shorts come with two front pockets and one zip pocket on the back. The Waterpolo swim shorts also have an elasticated waistband with a drawstring fastening, signature orange stitching accents and are finished with an inner mesh lining for added comfort.